I'm baaaa-aaack! Did you all miss me? Don't answer that. I know you did. So, did everyone have a good weekend? Mine was incredibly hectic. I went to two states and a province in Canada over the course of 4 days, and that doesn't include my home state! The main reason for my trip was because I was going to a wedding. It was fun. Dance-related soreness has ensued. That sort of rolls into our unofficial topic for the day: Favorite Video Game Romances! 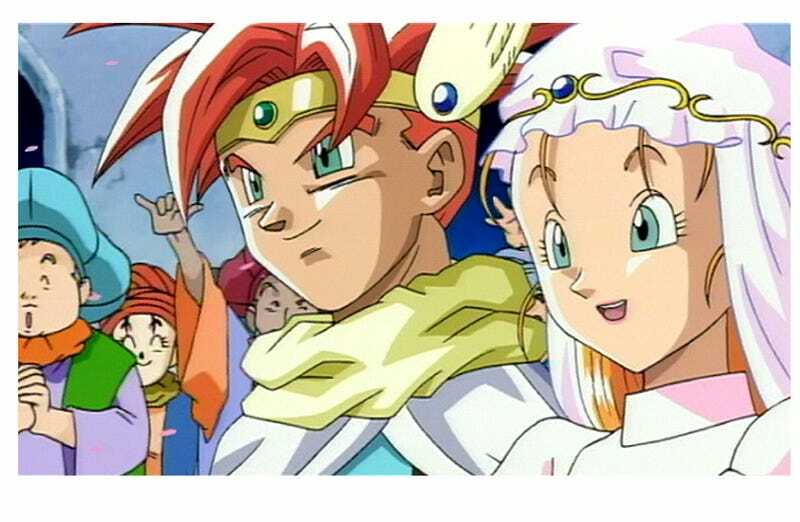 One of my top romances is Chrono and Marle. Sure, it's cheesy, but when Chrono dies and is resurrected at the tree, I'm not going to lie, I teared up. Here are a few other notables. I won't go into much detail on the relationships, mostly because I don't have the time. I just thought these two were absolutely adorable together. Don't get me wrong, Aika is great, but Fina has a really great transformation and comes into her own as the story goes on. I was rooting for these two throughout the whole game. Melia is just such an amazing character. Occasionally, I'm a sucker for a Tsundere. Viridi epitomizes that. She's just absolutely adorable, and you know they could've been a thing if she wasn't so proud and stubborn! So, what are your favorite video game romances? Share in the comments below, or talk about random things! This is Open Forum, after all! Pyrrohn senses danger, and now, Pyrrohn sees it! Quick, head over to TAYCLASSIC to continue the conversation and avoid being scorched by all his awesome (and his pyro blaster), you space weirdos. KABLOOEY! KABLAMY!